DIY (do it yourself) is big these days. We all want to improve our homes but want to save money too. 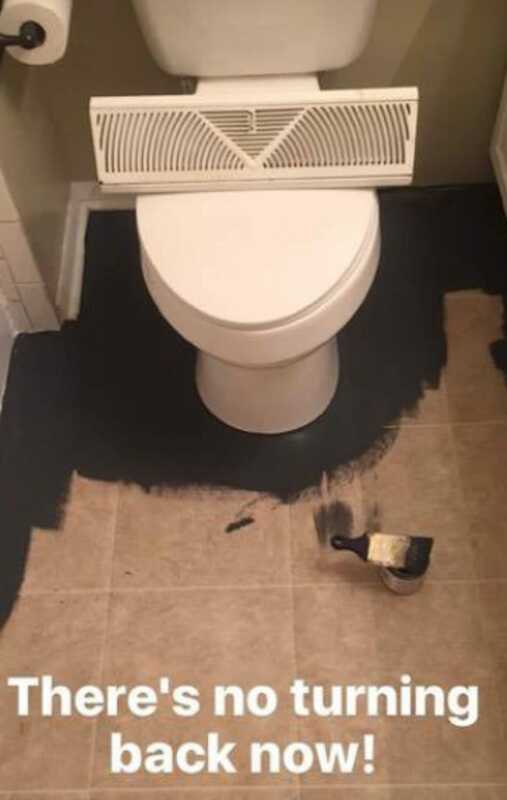 So, if you can do the project yourself, you could have it all! The tricky part is picking what project you want to tackle first! The key, I think, is picking one room that ‘bothers’ you the most and start there. You can look online for what other people have done using websites like Instagram or Pinterest to get ideas. 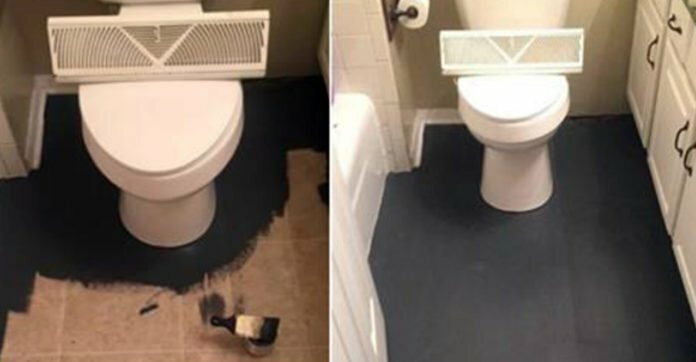 Being a mother with the love for budget friendly décor and the blogger behind Livin’ the Life of Riley, Susanna, wanted to do something with her outdated and drab bathroom floor. During a search on Instagram, Susanna found a post from Fixer Upper star Joanna Gaines that she knew would be perfect! 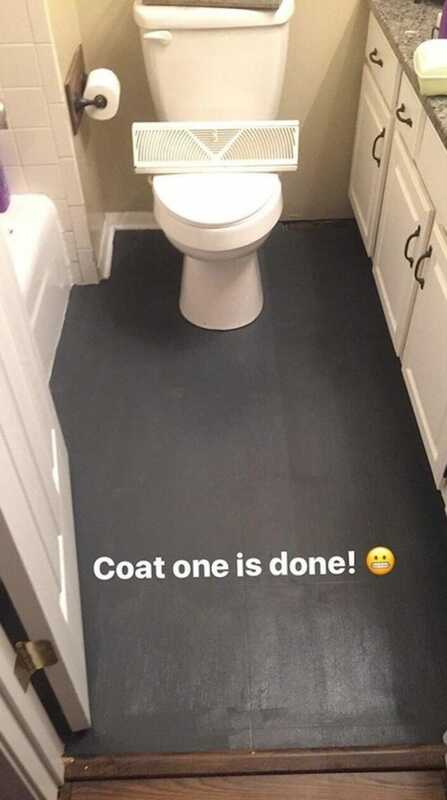 Gaines had shown some photos of black and white tiles in the bathroom – Susanna searched the internet and found a way she could achieve that design on a budget! 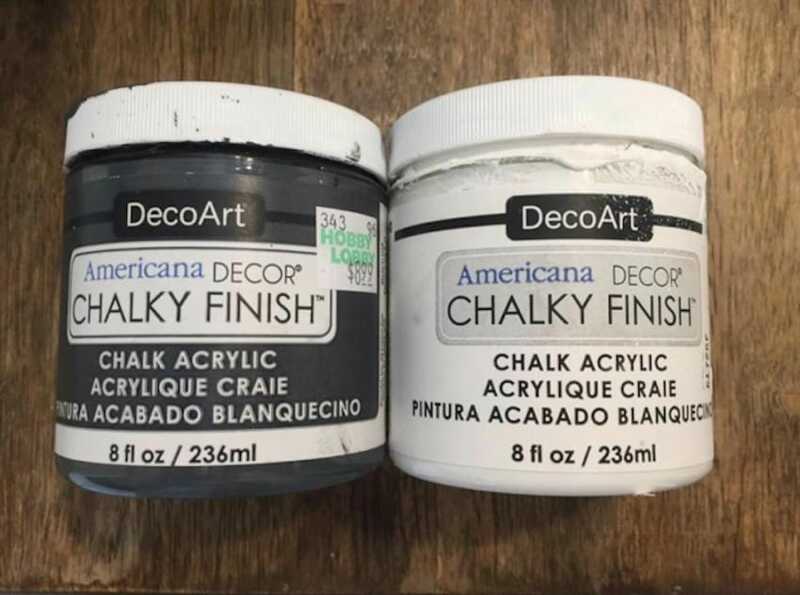 Susanna purchased some chalky finish paint and some stencils and got to work! Thankfully, she took some before, during, and after photos to show us how she did it! According to Susanna, she needed more than one coat to get the effect she wanted.